Remote control for DACP-compatible music players. Is there a better alternative to TunesRemote-SE? Is TunesRemote-SE really the best app in Music category? Will TunesRemote-SE work good on macOS 10.13.4? 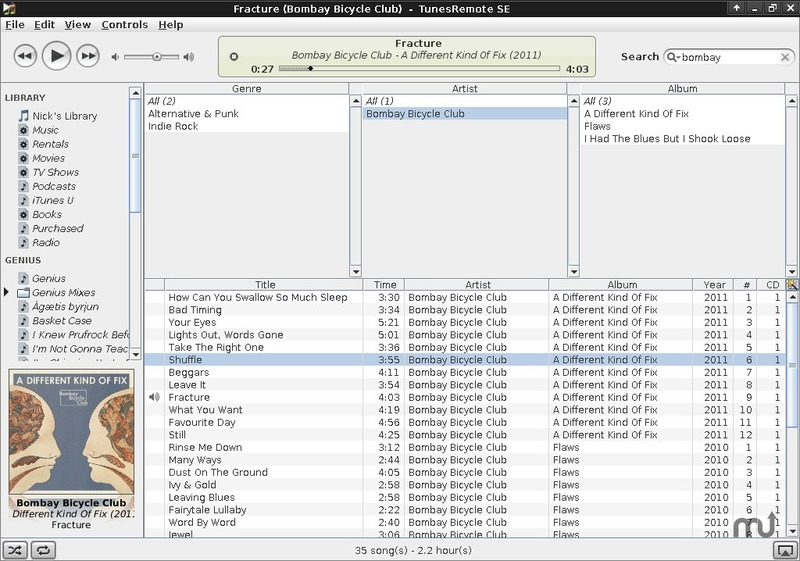 TunesRemote-SE is a Java based remote control for DACP-compatible music players such as Apple iTunes, MonkeyTunes for MediaMonkey, and Telescope for Songbird. TunesRemote-SE needs a review. Be the first to review this app and get the discussion started!